In nature CO2 is a primary nutrient for almost all vegetable organisms. This applies to for plants which grow on the land, but certainly also to water plants. Under the influence of (sun) light plants take in CO2 and covert it into sugars, which are necessary for growth. 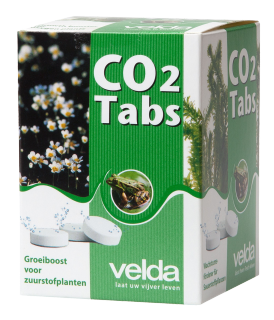 This consequently makes CO2to be a very important factor in the development of the pond plants. The contents of the packing is sufficient to treat 4,000 litres of pond water with CO2. 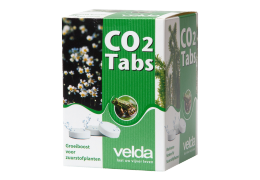 The CO2 Tabs from Velda provide this necessary CO2. 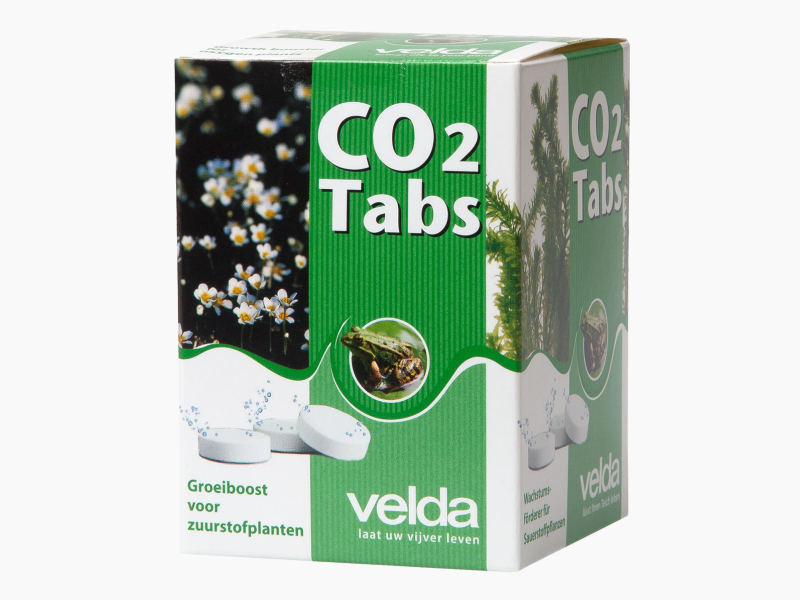 Just add the tablets to the water and start to give off CO2 at once, while effervescing.